Chematics of the South, Inc. is a fully licensed and insured Florida Corporation. 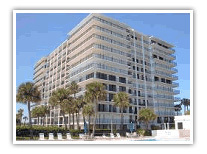 Our focus is on concrete restoration and waterproofing of condominiums and concrete structures. Some examples of our specializations include high-rise condominiums, full balcony demolition and replacement, waterproofing, expansion joints, walkway coatings, partial depth repair, stucco repair, and many more aspects of concrete restoration. We utilize the best products in the restoration industry. The manufacturers of the products we use are all nationally recognized leaders and have been approved by the International Concrete Repair Institute (ICRI). Chematics of the South, Inc. is a member of this organization, enabling us to stay informed and educated on the rapidly changing restoration industry, including methodologies, technology and improvements in the process or products. The quality of work done by Chematics of the South, Inc. is superior. To maintain the standards of industry superiority, we ensure that the professionalism of the on-site personnel is evident from start to finish and any issues are immediately addressed by a supervisor, with our focus on maintaining a positive relationship with the client. During the course of every project, the job foreman ensures that all work areas are clean and safe in order to protect the safety of our crew and the project’s residents. All work is done in accordance with the Florida Building Code and to the standards of ICRI. Although we focus on delivering each job on time and on budget, Chematics of the South does not allow any “corners to be cut” in the work quality or products in order to speed the job along. During the course of our time in the industry, we have built a reputation of a quality-driven, competent and trustworthy corporation, which has been earned through long-standing consistency and proven by our hard work and dedication to excellence.